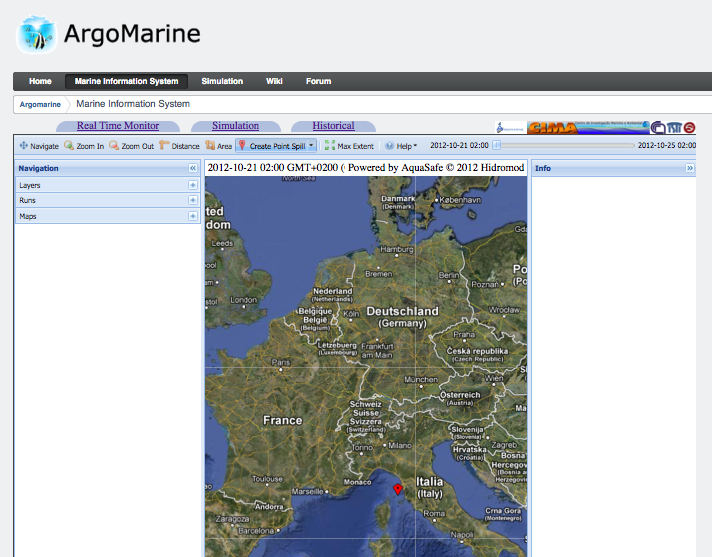 The central ARGOMARINE portal disseminates marine pollution products from the network of WMS data nodes to the end-users. 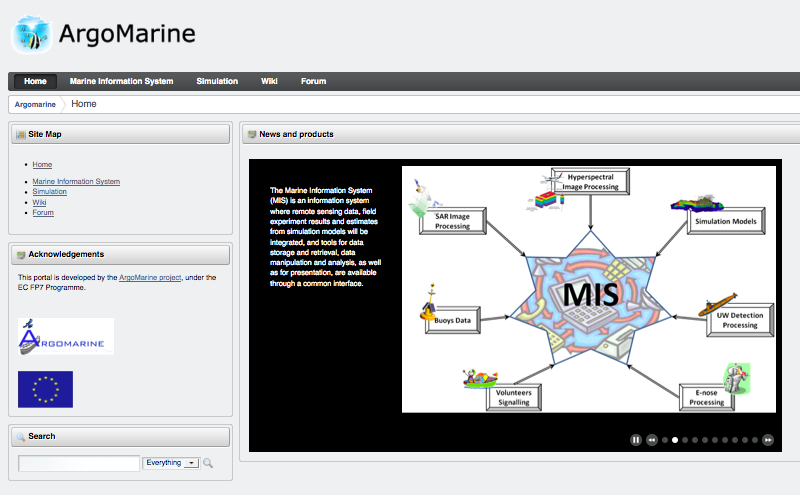 It offers seamless access to all products offered by the partners, as well as background information on marine pollution in the targeted areas. 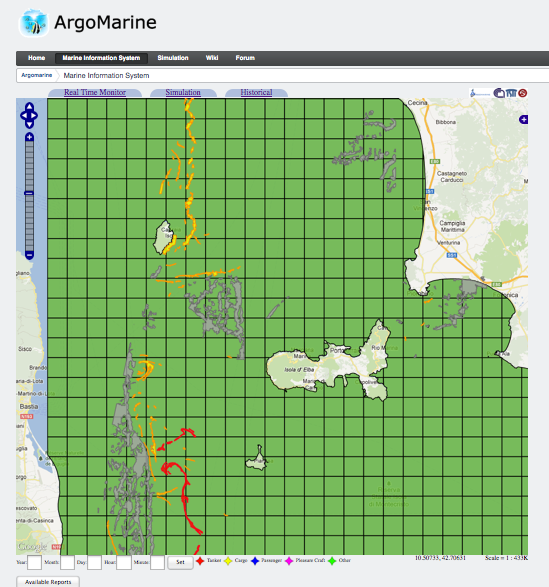 The portal is developed using the Liferay portal framework, and ntegrates the Marine Information System and the Aquasafe modelling system, both developed in the ARGOMARINE project. The portal is hosted by NERSC.